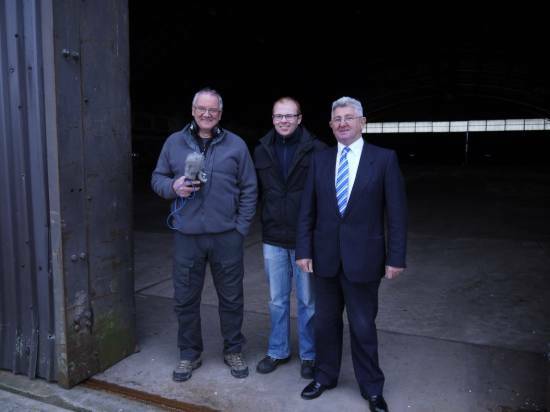 BBC Radio Scotland paid us a visit last month to record a feature for their weekend programme, Out of Doors. 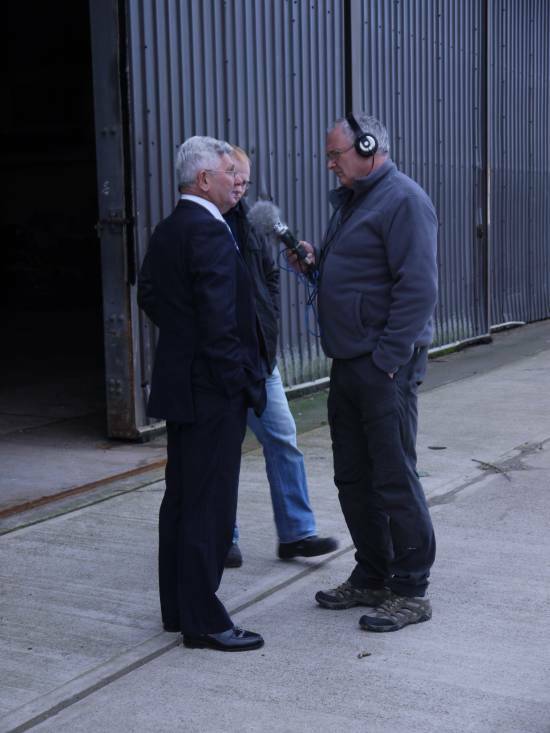 Presenter Mark Stephen took a tour with Director, Ian Wardrop and Business Manager, Malcolm McMillan, cruising the 10,000ft taxiway and testing the acoustics of the Gaydon hangar. Focussing on the success of the buyout and what we managed to acquire for £1, Mark was keen to hear our future plans for the site. The show was aired on Saturday 7th and Sunday 8th February but if you missed it you can listen here via BBC iPlayer for another 26 days. See if you can notice Mark’s mix-up with Ian’s name.